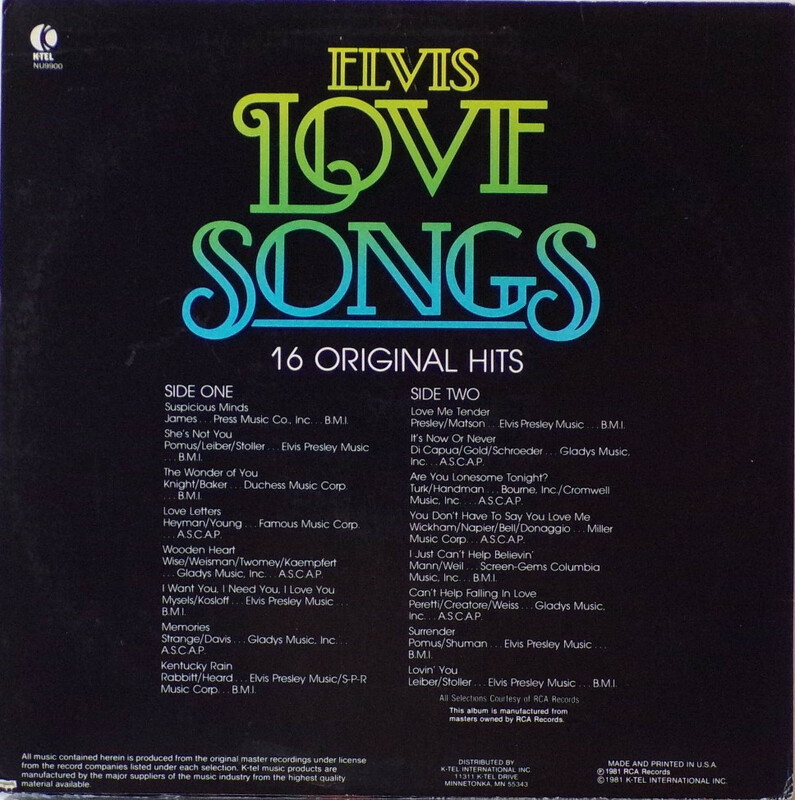 These recordings were made from the original RCA master tapes. The recordings have been digitally remastered. This album was released on the K-Tel label. 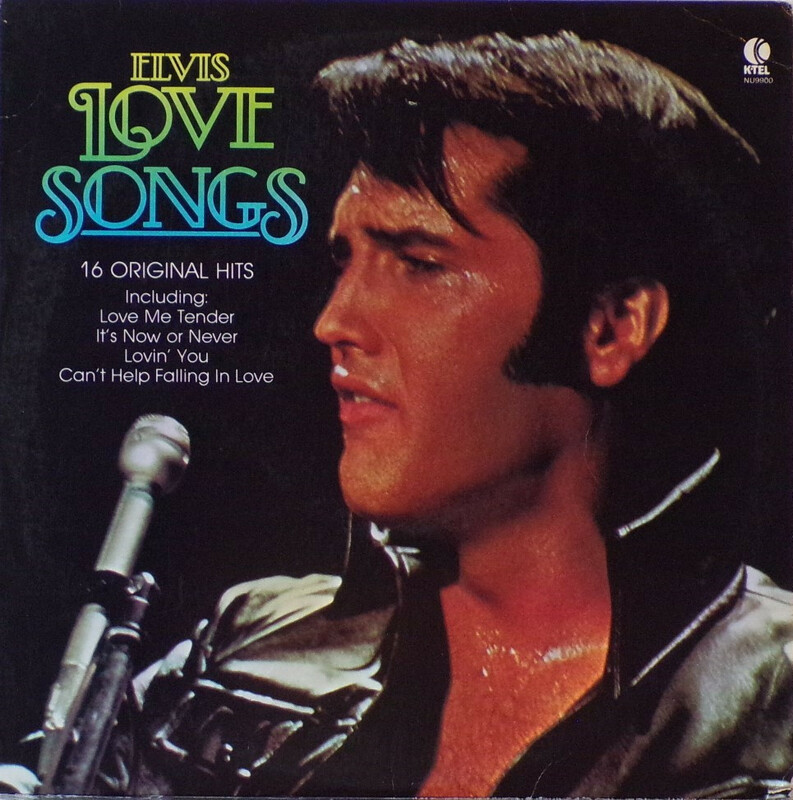 Front Cover : Photo of Elvis from 68 comeback. Title to the top left. Catalogue number top right. Rear Cover : All text back. Catalogue number top left. Title top centre. Made and Printed in U.S.A. bottom right. Label : Beige with orange swirls . Flexible vinyl. 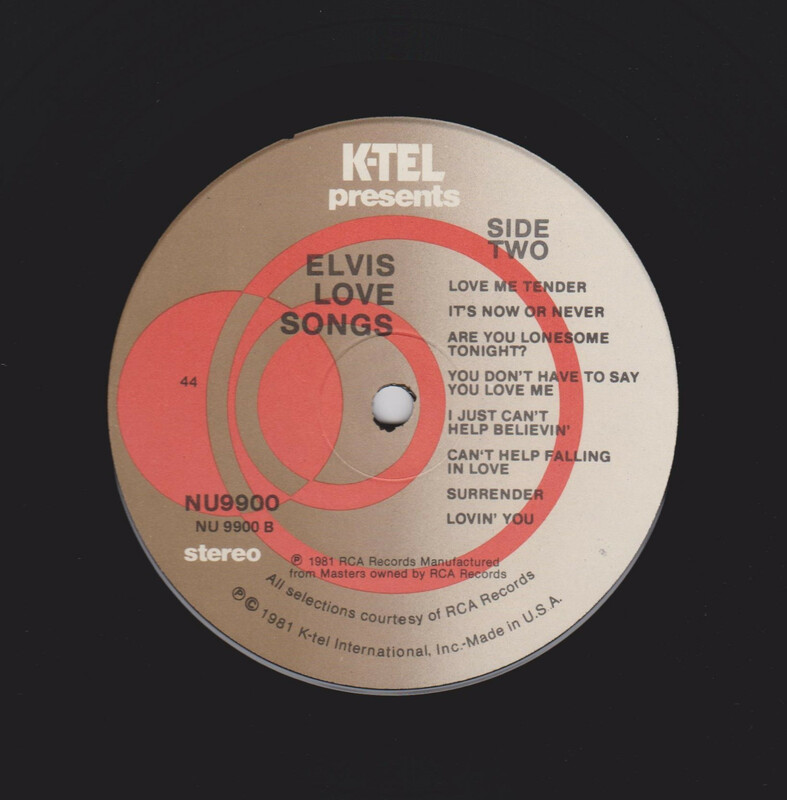 Side 1 : K-TEL logo top. Side 2 : K-TEL logo top.